AUSTRALIA is being held hostage by its ball tampering sins with coach Justin Langer indicating his men must endure a double standard around on-field actions. At Adelaide's Test match dinner Langer promised his side 'wouldn't be Zen monks' at home post Sandpaper-gate. However Australia has actively tempered on-field behaviour in the Border-Gavaskar series opener. Indian skipper Virat Kohli continued his hyped up dismissal celebrations during Australia's first innings 235. 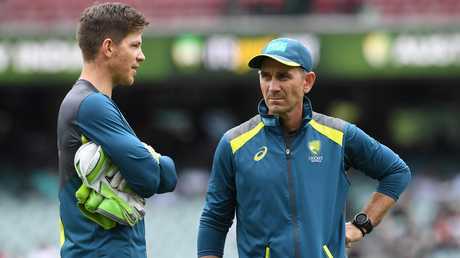 Langer conceded Australia would be harshly judged if it exhibited over-the-top wicket celebrations like Kohli in the aftermath of the Cape Town ball tampering scandal. "Mind you I think if we did that at the moment we'd be the worst blokes in the world. It's a fine line isn't it." 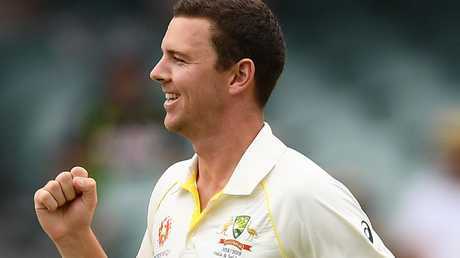 India's batsmen escaped send-offs synonymous under banned Test skipper Steve Smith's watch. The barbs - once expected as Australia pushed for wickets and were denied by successive DRS verdicts on day three - were absent. Nothing could be further from the era when former Australian skipper Michael Clarke told England tailender Jimmy Anderson to get ready for 'a broken f…. arm'. 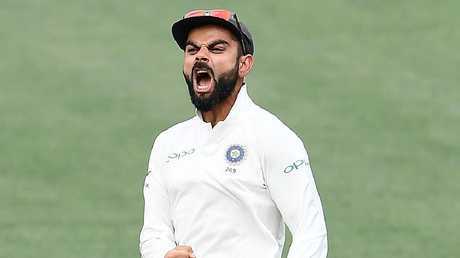 Partisan Adelaide fans even attracted social media criticism for booing villain Kohli as the kingpin strode out to bat - encapsulating the self-flagellation marking Australian cricket. 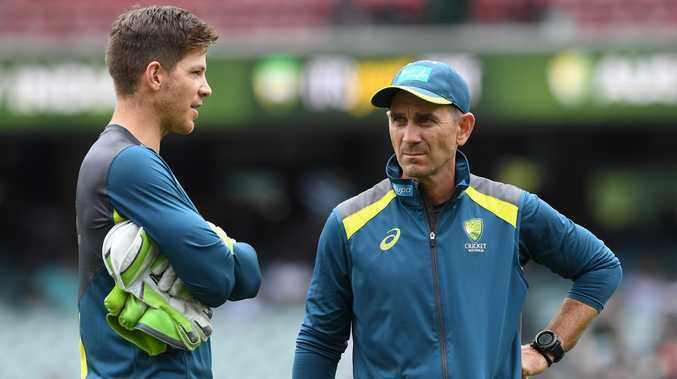 Australian skipper Tim Paine says his side faced a balancing act in the quest to reconnect with the cricket community. "The most challenging thing at the moment is playing a competitive Australian brand of cricket which the fans want us to play and being a team a team that is a little bit more respectful and better behaved at certain times and control our emotions," said Paine. Langer refused to take the bait of iconic Indian batsman and contemporary Sachin Tendulkar who said Australia's batsmen - its most inexperienced top six since World Series - was playing with a 'defensive mindset' in Adelaide. "The teams that Sachin would have played against started with Allan Border and David Boon, and Steve Waugh and Mark Waugh, and Ricky Ponting," said Langer.